Healthy Snack Wednesday: Grab & Go Fast Snacks! The summer isn’t the best time to hang out in the kitchen and whip up snacks. It is a great time to grab a piece of fruit and get your behind outside, or to find some new super fast healthy treats to get you through an afternoon at the beach, kayaking down the river…or even sitting through your summer class. Now, I know some of the snacks inside are pseudo-healthy snacks, but it is a step in the right direction! Now, on to some of my recommendations! Beef jerky is one of my all-time favorite snacks. Period. I will eat it any chance I get, and I will make myself sick on it. Its just the way it is…although I realize now that would negate the “healthy” part of the snack. Imagine my surprise, a couple of years back, when I found out that this salty, chewy delight is actually *gasp* good for me! One ounce of QUALITY beef jerky contains around 100 calories, 2 grams of fat, and 17 grams of protein! How do you like them…err…apples…. The next jerky I tried threw me for a loop. When the package arrived from House of Jerky, I was immediately excited by the breadth of flavors I would be trying! Flavors get me giddy, especially when one of them is Sweet & Spicy! 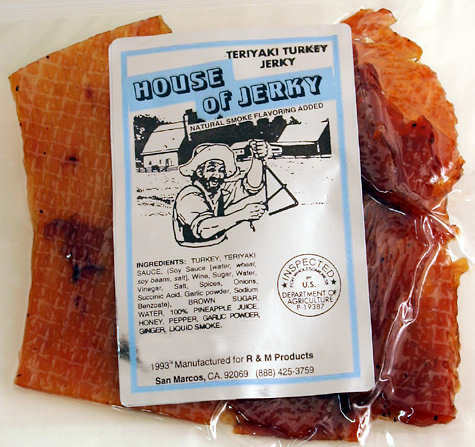 Not to mention that they carry more than one flavor of Turkey Jerky, which made me happy since my poultry-only sister was coming to visit! I was a little disappointed to see this was flat jerky after my last jerky experiences. BUT then I tried it! 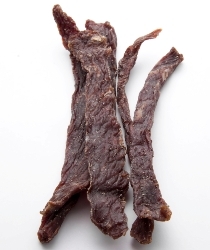 This jerky is amazingly tender and easy to bite, which is somewhat rare when it comes to flat jerky! You didn’t have to guess what flavor you were eating, the flavor bursted out in each bite! I know seeds are good for me, but I am just not a huge fan. 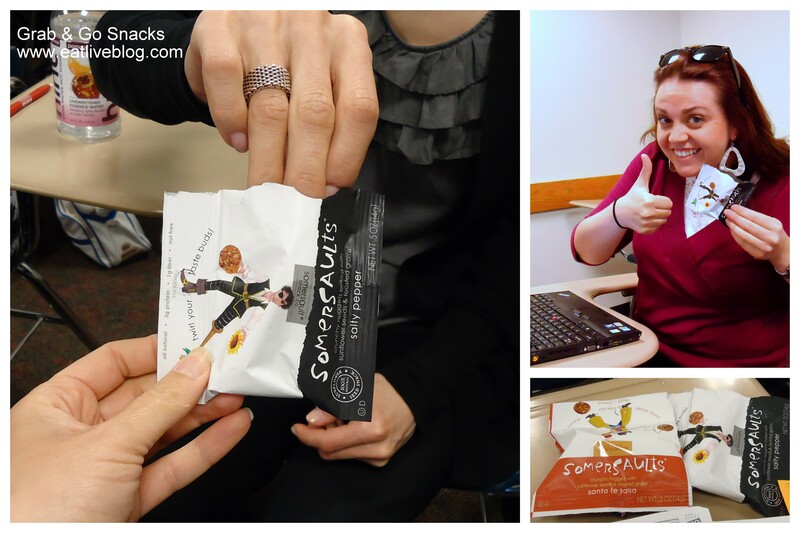 So I was more than intrigued when Somersault sent me a fabulous package of their sunflower seed based snacks. I opened the Dutch Cocoa immediately. I am only slightly embarrassed to report that all 3 bags of this flavor disappeared within two days…. I thought it would be best to bring the rest of the snacks somewhere that I would be forced to share them. My summer class was the perfect testing grounds! Erica and Lori were nice enough to help me taste-test the Salty Pepper and Sante Fe Salsa flavors. Both were a hit with the Salty Pepper being the class favorite. Somersaults boast as much protein, but half the fat, of almonds, and are a good source of fiber and Vitamin E. They also have a VERY limited list of ingredients, which is always a good thing! There are a slew of healthy-ish bars out there that you can grab on the run and feel relatively good about. 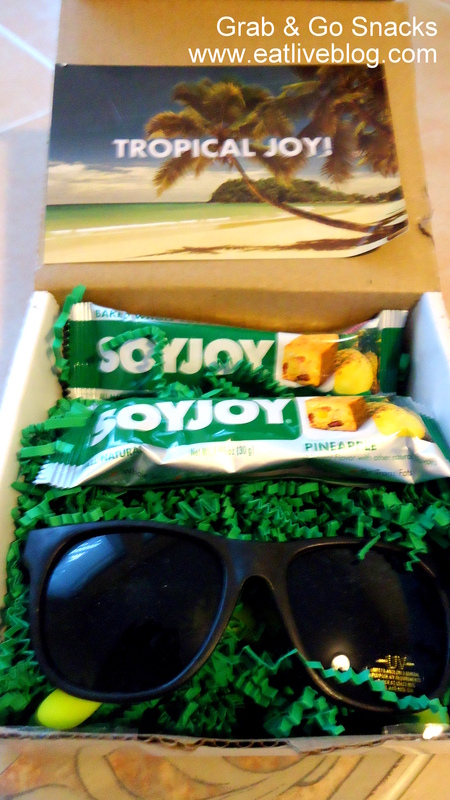 This summer, Soy Joy released a pineapple flavored Soy Joy bar, which brought the grab & go to the season! Talk about pure ingredients, these bars are a pure mix of Ground Whole Soybeans, Raisin, Egg, Dried Pineapple, Butter (from milk), Sugar, Dried Coconut, Maltodextrin (natural fiber source), Rice Flour, Salt, Natural Flavors, Pineapple Juice, Fermented Milk Powder. Not too shabby! While the texture of these bars take a little getting used to, the pineapple flavor keeps you going back for more. Not to mention that it is only 140 calories and has 4 grams of protein and 3 grams of fiber! What is your go-to Grab & Go healthy snack? Don’t forget you have until Thursday @ 10am to enter to win $20 in Eversave saves! Disclaimer: I was provided with free samples of all of the above snacks. I was not required to review these products for the blog. As always, all opinions are my own! This entry was posted in Reviews and tagged beef jerky, fast, grab and go, healthy, house of jerky, review, rocky mountin organic meat, snacks, somersaults, soy joy, sunflower seeds by reneeh. Bookmark the permalink. Thanks for the reviews! I lovvveee beef jerky, so needless to say I’m pretty excited about going online and ordering some asap! haha! I’ve been snacking on sliced cucumbers all summer long! Ooh I actually love seeds, and those look great! Thanks! I love jerky, and I look forward to researching both Rocky Mountain Organic Meat and House of Jerky and whether they’re meat are either grass fed or grass finished (http://www.grass-fed-beef-101.com/definition_of_grass_fed_beef.html) as well as nitrate free.